Cream Ceramic Milk Churn Vase - Decorative milk curn style vase in glazed cream ceramic with pretty star detailing. 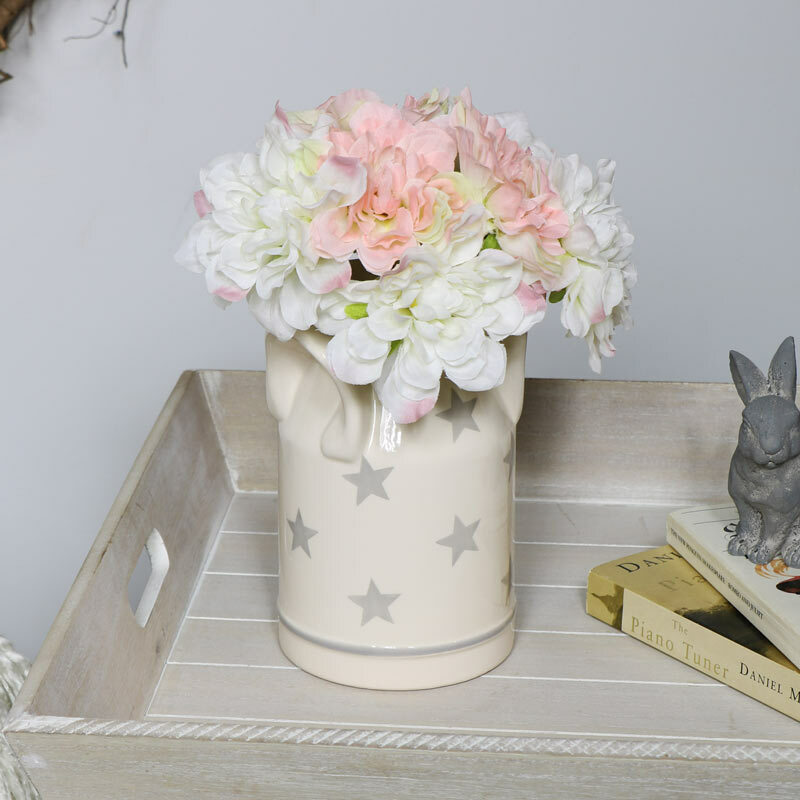 Country cottage style home decor, pretty Cream Ceramic Milk Churn Vase, perfect for displaying flowers and creating a charming feature in any home. Delightful home decor accessories, this milk churn style decorative vase is just one of many we have to offer. Cream Ceramic Milk Churn Vase - Decorative milk curn style vase in glazed cream ceramic with pretty star detailing. Country cottage style home decor, pretty Cream Ceramic Milk Churn Vase, perfect for displaying flowers and creating a charming feature in any home. Delightful home decor accessories, this milk churn style decorative vase is just one of many we have to offer. 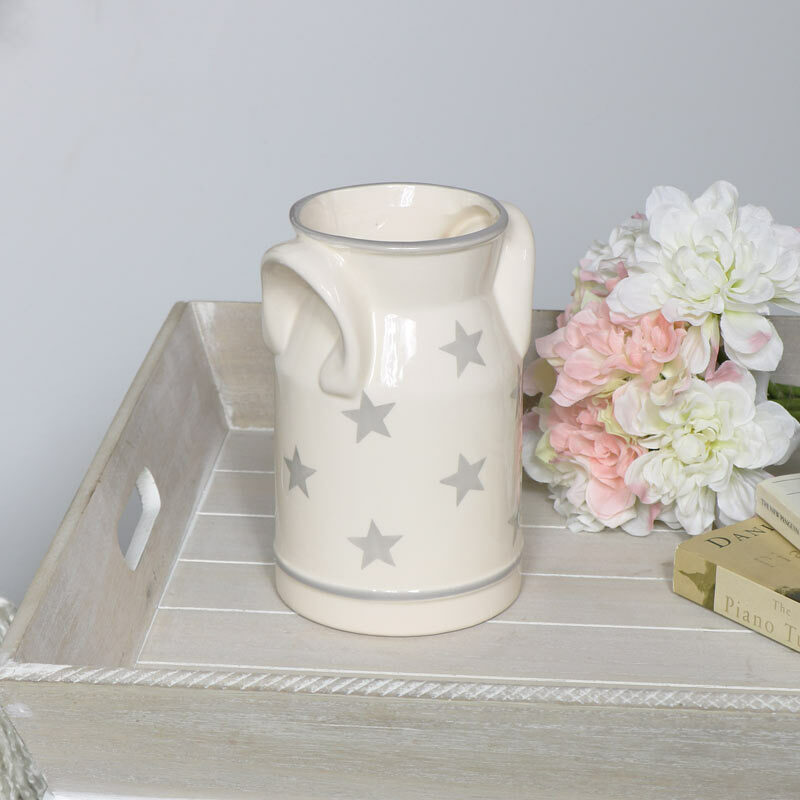 Made from pottery in a cream glazed finish with grey star detailing.